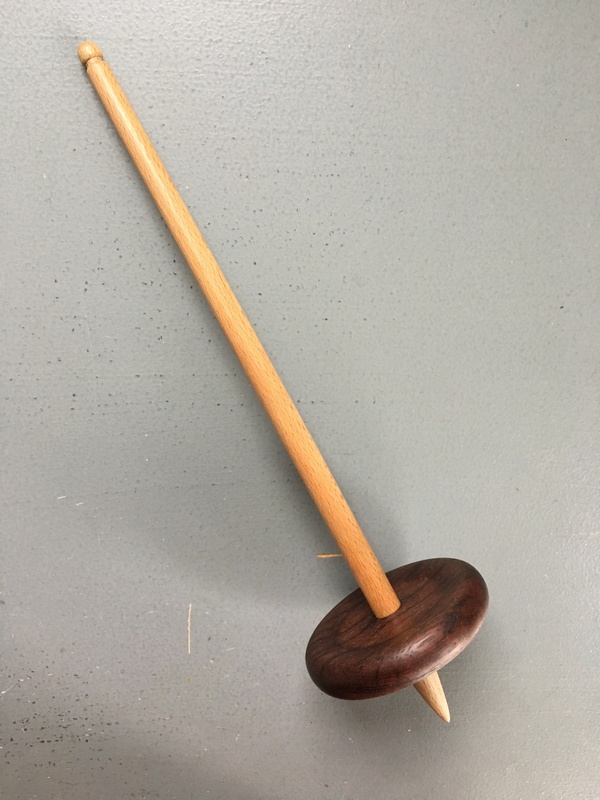 My husband presented me with this beautiful drop spindle that he turned for me this week. It’s practically a work of art—beautifully weighted and smooth as glass. As if the pressure wasn’t already on. At this time of year, crafts have to take a back seat to the garden, but with the goats newly shorn, I’m dying to actually work with the mohair sitting in my office. I picked up a pair of carders last week and have been slowly learning to use them. I have enough carded fibre to start spinning. But the garden beckons—weeds grow rampant, seeds need to be planted, seedlings need potting up. And worse still, my hands are garden-rough; every time I touch the mohair, I end up with tufts of it stuck to the dry cracks in my hands. So I may have to be content to just admire my new spindle for a while, until the spring garden rush is over.